Everyone should carry around a first kit so they can administer basic care in the event of a minor injury. 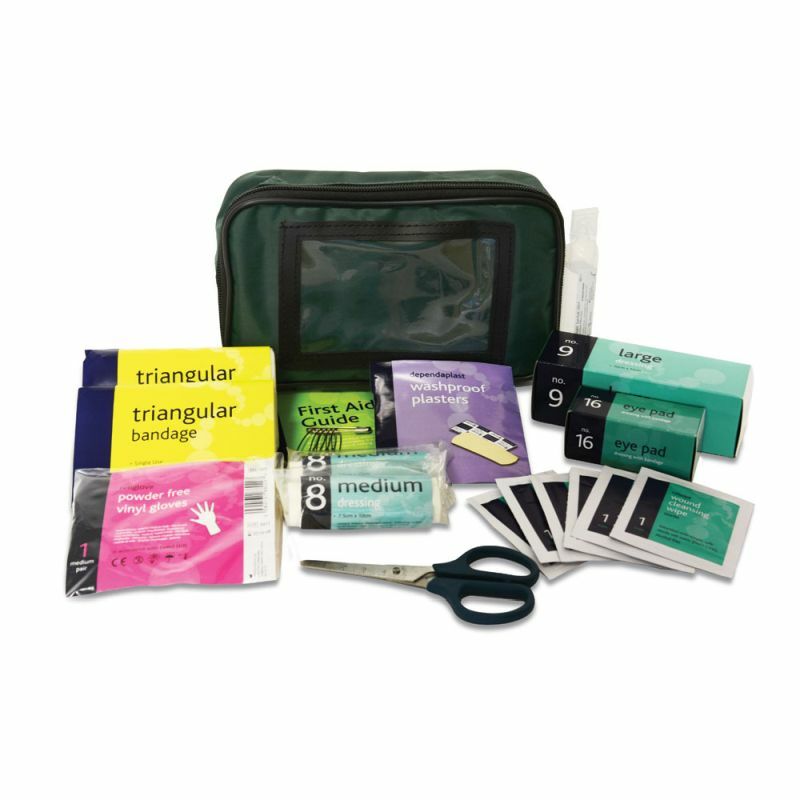 The General Purpose First Aid Kit supplies you with the main tools you need to attend to cuts and scrapes. This kit provides you with the basic essentials needed to prepare you for any minor injuries. It is ideal to be used in every situation, such as camping, caravanning, travelling, at home and outdoor sports. What Is Included in the General Purpose Kit? The contents of this kit come in a small green pouch with a transparent window, to look at your materials from a glance. Small and compact, the kit can be neatly stored in the glove compartment of cars, kitchen cupboards, garages, backpacks or suitcases. The General Purpose First Aid Kit is usually dispatched via First Class Royal Mail and delivery should be within 1 to 3 working days.